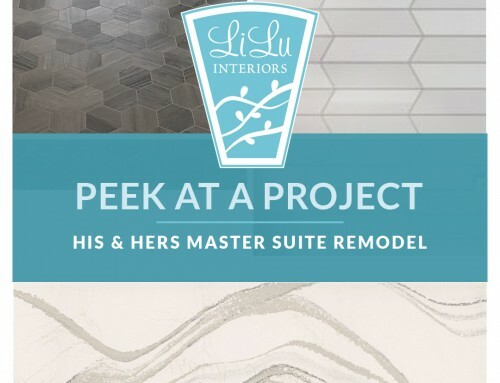 Over this month we have been giving you sneak peeks into a dream home remodel for a client who had a had a wish list of a master ensuite on the upper level and on the main level an updated kitchen with a powder room. 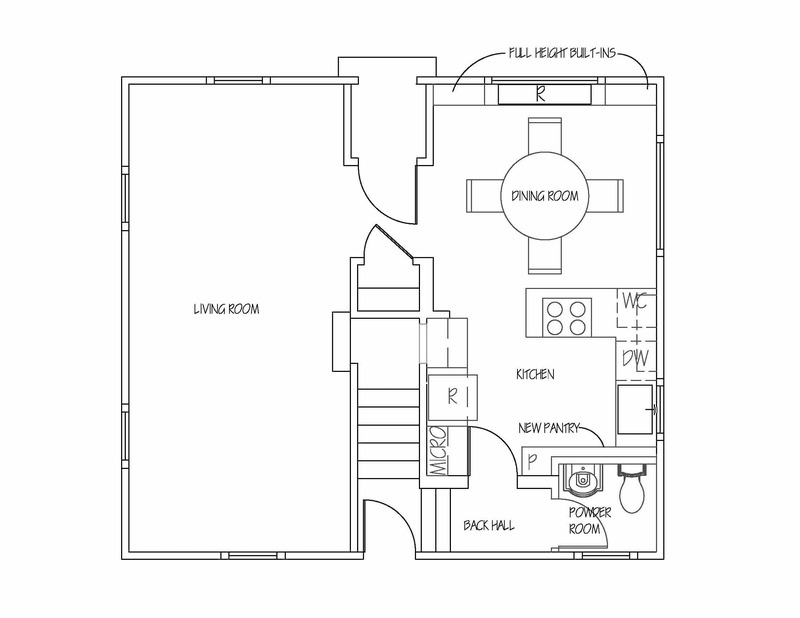 The before and after floor plans for the upper level can be found here and the main level here. 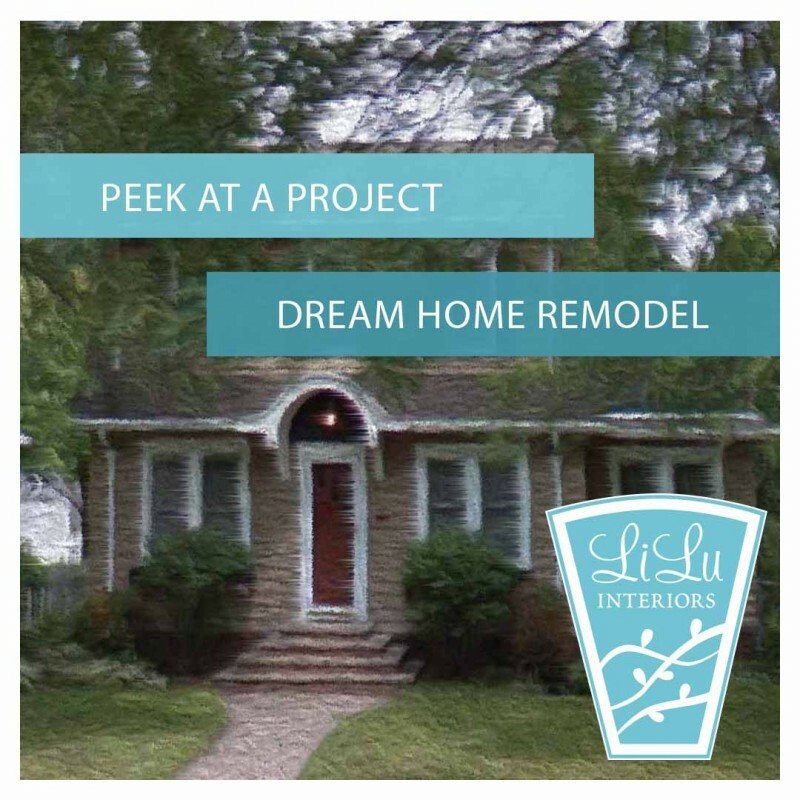 Our St. Paul Dream Home remodeling tour continues today with a sneak peek at the custom solutions LiLu designed for our client’s kitchen remodel. 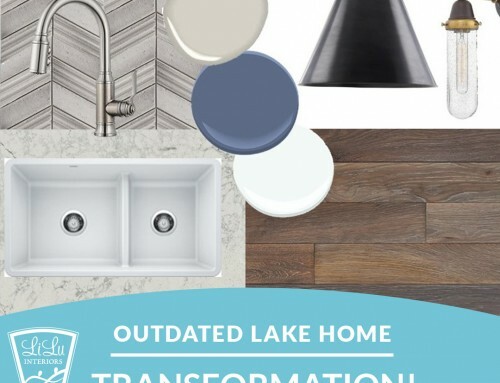 We added a powder room to the main floor of our client’s Dream Home and in doing so the original charming kitchen became even more charming (designer speak for smaller!). So we had to get extra creative in designing this kitchen to make sure it had big personality and lots of storage despite it’s smaller footprint. The new floor plan is shown below. Our inspiration began with a trip back in time to reference the era of when the house was built. The ice box, complete with exposed hinges and lots of fun cabinet doors. With this in mind, we designed a floor to ceiling wall of shallow pantry storage and open shelves to capture every inch of usable space. The nook by the door is a little deeper and we were able to design a pull-out pantry unit for larger items. With this wall serving as our focal point, we decided to paint it a bold blue to really anchor the space. The remaining kitchen cabinetry was thoughtfully designed to include space for trays and cookie sheets, pot and pan drawers, and pull-out recycle and trash bins. Now our client’s charming kitchen fits in perfectly with the neighborhood and more importantly fits our client perfectly and is everything she dreamed of. 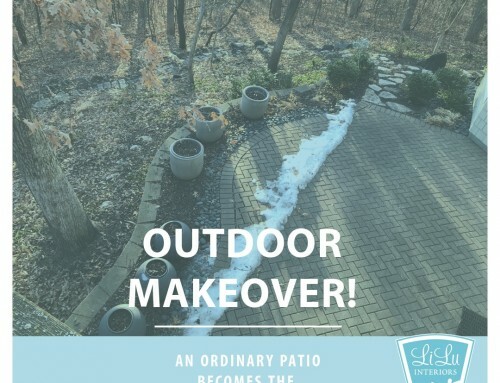 Custom design solutions are exactly that custom and unique to you. 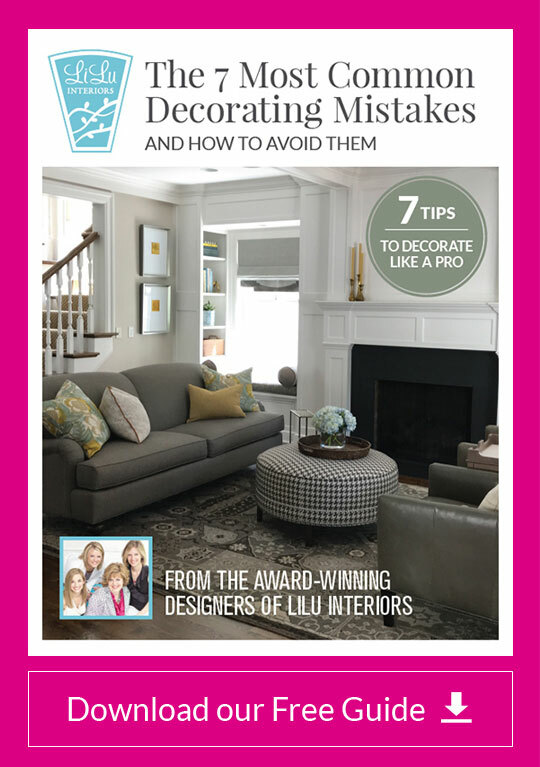 How can LiLu Interiors help you design your dream home? 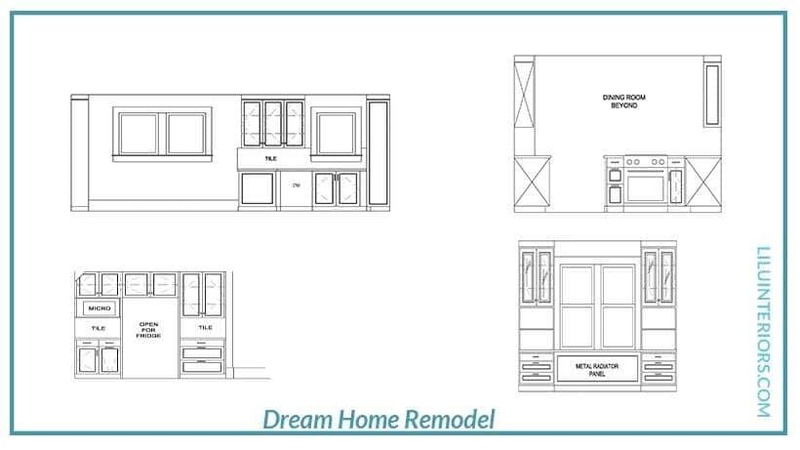 As we developed our design from the “icebox” inspiration we went from sketches to CAD elevations that show the detail required to build the new cabinetry for our clients dream home kitchen. For our client to understand the exact solution and layout of her kitchen, every wall is drawn. She can understand from the elevations, where her garbage and recycling will be and where each part of her must have list will be in her new kitchen. From the space plan to the cabinetry design, LiLu addressed every aspect of the shell of this kitchen. From backsplash material to each finish and piece of hardware we selected each item required to complete this dream home kitchen. 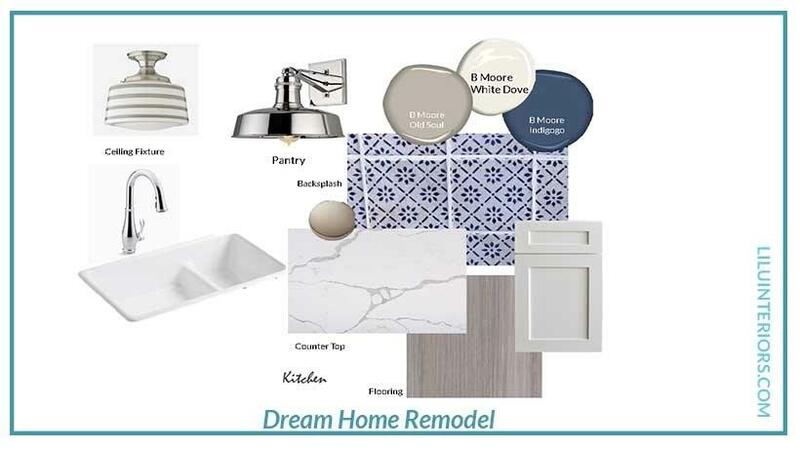 This mood board shows the complete package. Nice, Lisa! 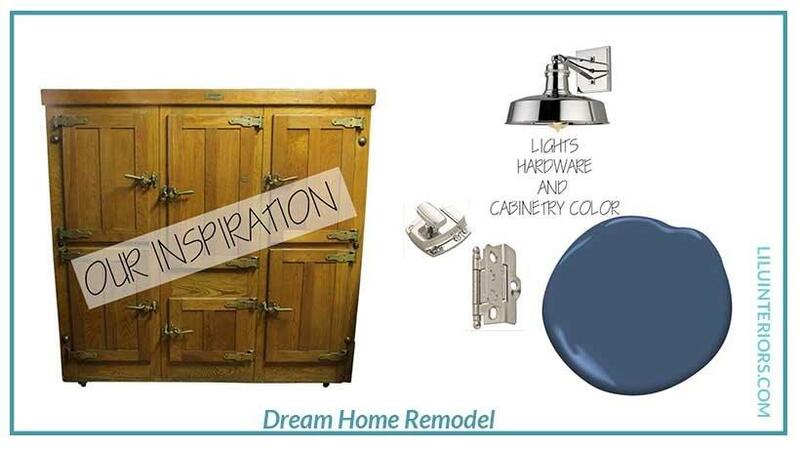 I adore the light fixtures and pantry hardware you chose! Great post. I enjoy how you have clearly illustrated the ideas. 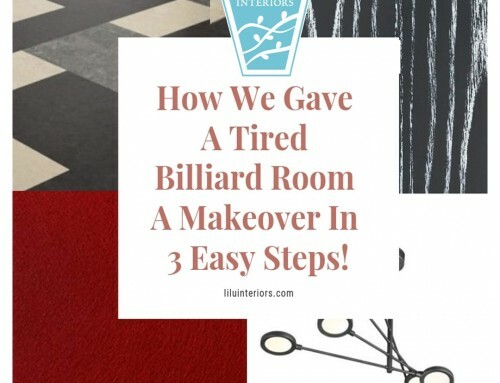 Your mood boards bring it to life so the reader can visualize right along with you. Thanks Judith! 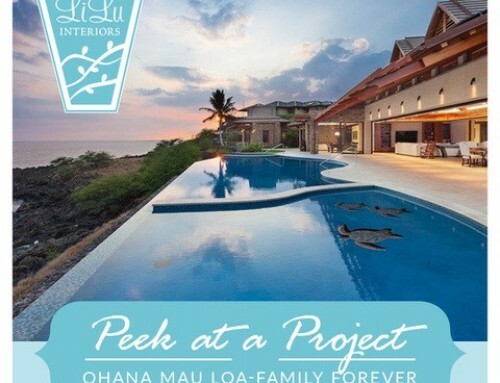 We love sharing these projects so people can start to imagine the possibilities for their own homes! 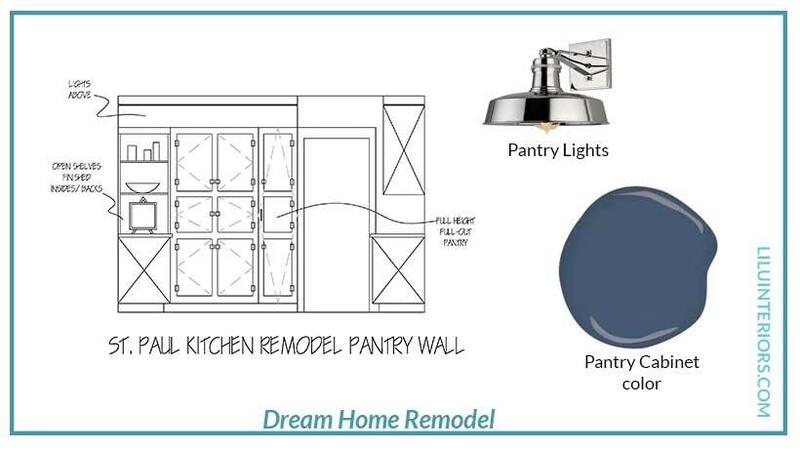 I bet your clients love having a full height pull out pantry, Lisa! I would love that, too, if I had room. And it was fun to read how the icebox was the inspiration for the whole design. Leslie, Construction starts next week! We will post updates as they happen! I am sure she will love it! I love your idea of the icebox inspiration. Thanks Sheri! So many of the inner city homes we work with originally had ice boxes. We thought it was a nice nod to the age of the home.